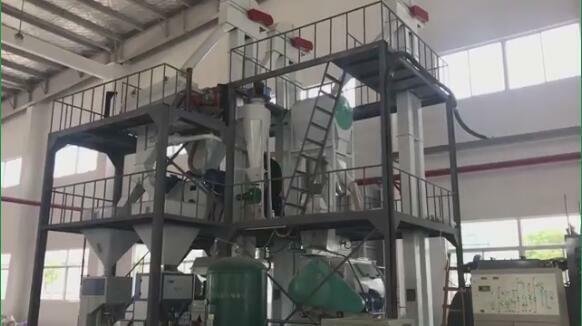 Biomass Pellet Machine - Wuxi Huamu machinery Co.,LTD. Biomass pellet fuel is called "green coal", which is widely praised as a new biomass energy in recent years. 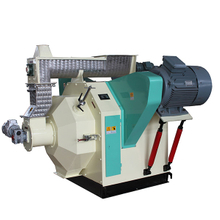 The biomass pellet fuel is made by biomass pellet mill machine. But the raw materials of these biomass pellet fuels are all inconspicuous agricultural and forest waste. Which biomass raw materials can be made into biomass pellets? What kind of raw material should you choose for biomass pellet fuels with higher combustion efficiency and better combustion effect? There is a certain standard of choice. Different raw materials have different purchase prices, and the heat values of the fuels are different, so the price levels are also different. 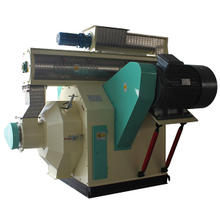 Wood chips, branches and other biomass raw materials must be crushed before pelletizing. The crushed size depends on the diameter of the expected biomass pellets and the size of pellet mill die hole. The crushing of raw materials is very important, the size of crushed raw materials will affect the output of pellets. Now I recommend a hammer mill system, including wood disc chipper, wood chipper and hammer mill. Customers can choose a suitable machine according to raw materials. What to do with the mildew of the raw materials? After the mildew of the raw material, the color will become black, and the cellulose in the wood chips is decomposed by microbes, so the raw material can not be pressed into qualified particles. It is suggested that more than 50% fresh wood chips should be added to the mixture raw materials, otherwise they can not be pressed into qualified pellets. Straw, peanut shell and wood sawdust are more commonly used raw materials and easy to purchase, the thermal efficiency is relatively high. The most common pellet fuels in the market also are peanut shell pellet fuel, straw pellet fuel, wood pellet fuel and so on. How to choose biomass raw materials for biomass pellet mill machine? 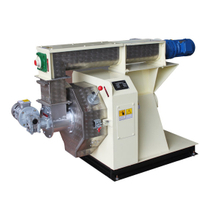 The biomass pellet mill is strict with the water content of the raw material. The moisture content of any biomass raw material must be kept in a range. If the raw materials are too dry, the biomass pellets are not easy to take shape. If the moisture content of raw materials is too high, the biomass pellets are easy to loose. The biomass raw material itself must have adhesive force. Otherwise, the pellet fuels made by biomass pellet machine are unformed or easily broken. Therefore, if you see that biomass raw materials that has no adhesiveness in itself can be pressed into pellets or blocks, the raw materials are likely to be fermented or something like an adhesive is added to the raw materials. Pure sawdust can be processed into wood pellets, other adhesives are not needed. Because the wood chip is a kind of coarse fiber material, it has a certain adhesion. After the compression and pressing of the biomass pellet mill, wood pellets can be formed naturally, and they are very hard and smooth. The pressure of the biomass pellet mill is very large. Can different kinds of biomass raw materials be mixed together? It is said that the raw material is pure sawdust, but sawdust can be mixed with other varieties. For example, all kinds of wood sawdust, shavings, red sanders, cottonwood, and furniture factory waste material. Besides, like crop straw and peanut shell, these things all can be used as raw materials for the biomass pellet mill. Of course, these pellets can not be called wood pellets, but straw pellets.